Find a little harmony in your day! 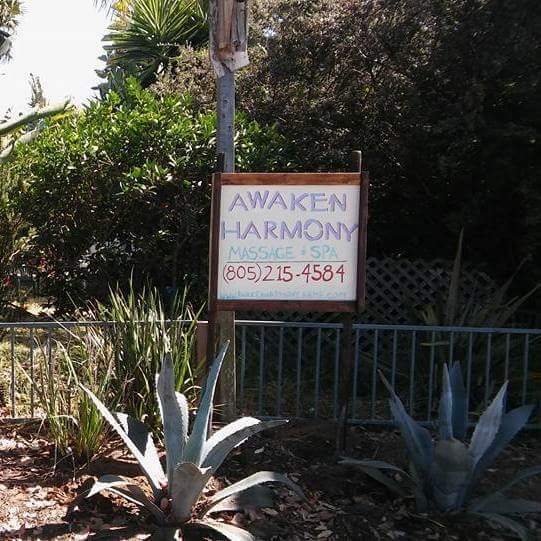 Awaken Harmony Massage is located on Morro Bay Blvd. in beautiful Morro Bay. We are happy to provide Massage and Energy Work to visitors and locals alike. Using all organic products we provide a wide variety of Therapeutic Massage including Deep Tissue and Integrative body work techniques. Whether you want to come in and pamper yourself for an afternoon or get therapeutic work for chronic pain, knots or that kink in your neck that won't go away, we are able to do it. We look forward to helping you find a little harmony in your day! We offer online booking! Just click on the "hours and scheduling" tab to book. Gift Certificates are available. We accept debit/credit cards, cash and local checks! © Copyright 2019 Awaken Harmony Massage and Spa. All rights reserved.